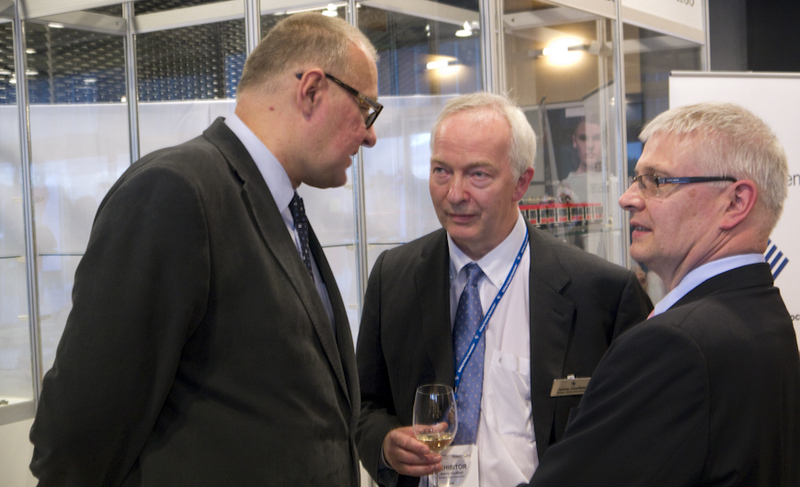 Former Rail Minister, Andrzej Massel; Railway Industry Association, Director General, Jeremy Candfield; British Ambassador, Robin Barnett, in conversation at TRAKO, September 2013. Photo BTWT. Four deputy Ministers – including rail minister, Andrzej Massel, at the former Ministry of Transport, Construction and maritime Affairs – have been dismissed by Elzbieta Bienkowska, the new boss at the ‘super-ministry’ of Infrastructure and Regional Development. Massel was appointed Undersecretary of State responsible rail by previous transport boss Slawomir Nowak on 28 December 2010 to sort out the timetabling chaos that occurred under his predecessor Juliusz Engelhardt. Krzysztof Opawski, the Chairman of the Supervisory Board of PKP SA, died today. Krzysztof Opawski was born in 1950 in Lodz. He studied at the University of Lodz where he was awarded a PhD and then taught at the university from 1974 to 1982. He was awarded a research and teaching fellowship by the Polish Academy of Sciences where he worked from 1983 to 1993. During the period 1990 to 1992, he lead projects to promote the development of private enterprise in Poland on behalf of the Krajowa Izba Gospodarcza (National Chamber of Commerce) and the Krajowa Rada Towarzystw Gospodarczych (National Council of Chambers of Commerce). 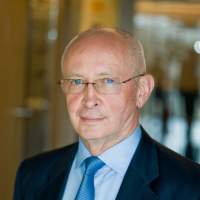 In 1994, he joined Schroders, and in 1996, he became chairman of Schroder Polska (trading as ‘Schroder Salomon Smith Barney Polska’ from 2000, and as ‘Citigroup Global Markets Polska’ from 2003. From 2000 – 2005 he was a member of the supervisory board of Bank Handlowy. On 2 May 2004, he joined the Government of Marek Belka as Minister of Infrastructure and served in that capacity until 31 October 2005 and afterwards returned to Citigroup. In 2007, he founded Saski Partners, a consultancy company specialising in mergers and acquisitions and on 17 December the same year, he became the Chairman of the Supervisory Board of PKP SA. During his long and distinguished career Opawski lead the teams advising the government regarding some of Poland’s largest privatisations such as TPSA and served on the supervisory boards of some of the most important companies in Poland. Opawski was a supporter of the reforms being instituted by PKP SA Chairman, Jakub Karnowski. The appointment of his successor by Minister of Infrastructure and Regional Development, Elzbieta Bienkowska, will be thoroughly analysed by PKP SA’s friends and foes alike. The 293km/h record=breaking run on 24.11.13. Video by vwpassatfan. While many observers, including BTWT, thought that Saturday’s 291 km/h run along approximately 5 km of the CMK line was likely to remain the Polish railway speed record for the foreseeable future, another batch of VIP passengers on Sunday 24 November hoped to witness a record breaking run. They were not to be disappointed and the driver notched another 2 km/h on the speedometer and reached 293 km/h. While Sunday’s 293 km/h is a very credible performance bearing in mind the power limitations of 3,000 DC electrification and lack of experience in Poland with maintaining high speed track alignment standards it is hardly revolutionary compared with what is being achieved elsewhere in Europe. A very informative article published today on the wyborcza.pl portal reminds readers that in several countries including France and Spain 300 km/h running is a regular occurrence. In two years time when the Polish Pendolino is in service and line speeds are raised between Warsaw and Gdansk it will be possible to travel between the two cities in some 2½ hours approximately the same times as it currently takes to travel from Madrid to Barcelona. The distance between the two Polish cities is 328km and the average speed of the Pendolino will be 123 km/h. The distance between the two Spanish cities is 628km and the high speed train averages 248km/h. 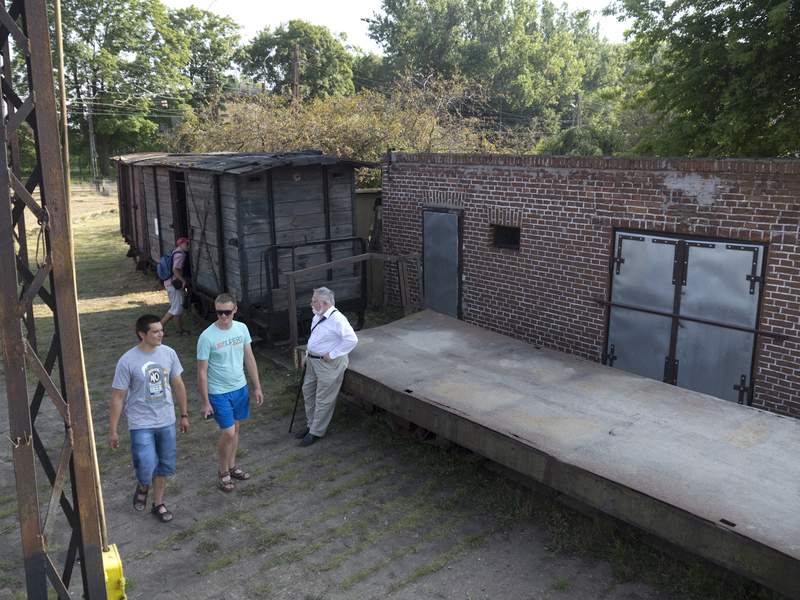 Open day at the former Tramwaje Podmiejskie depot, Zajezdnia Brus, on 22.9.2013. Photo BTWT. 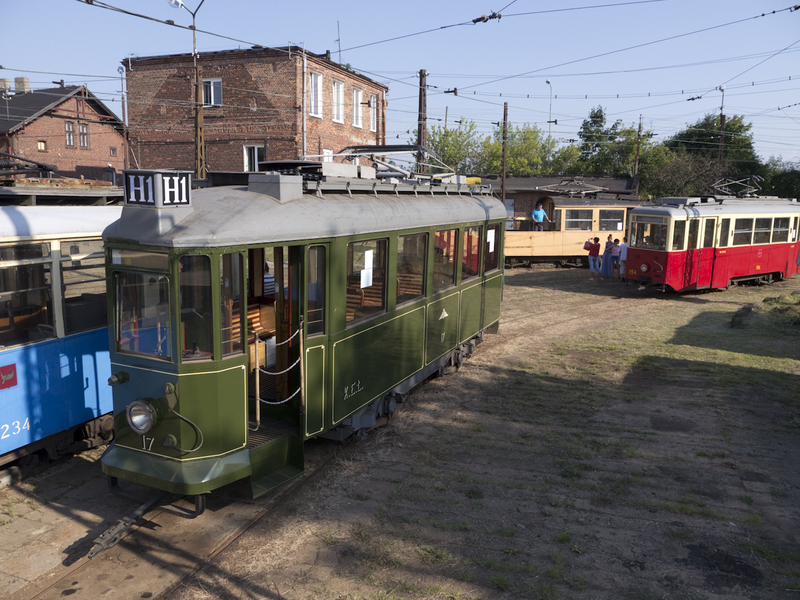 Thanks to the initiative of Thomas Adamkiewicz and a group of tram enthusiasts the former Tramwaje Podmiejskie Brus tram depot on the Lodz-Konstantinow-Lutomiersk interurban line has been earmarked by the city of Lodz for a new municipal transport museum. ‘Sanok’ built in 1928 was withdrawn from service and served as a garden shed until it was rescued by Tomasz Adamkiewicz, After an 11-year restoration to working order it is back on the tracks. Photo BTWT. The depot is already home to a growing collection of withdrawn trams. 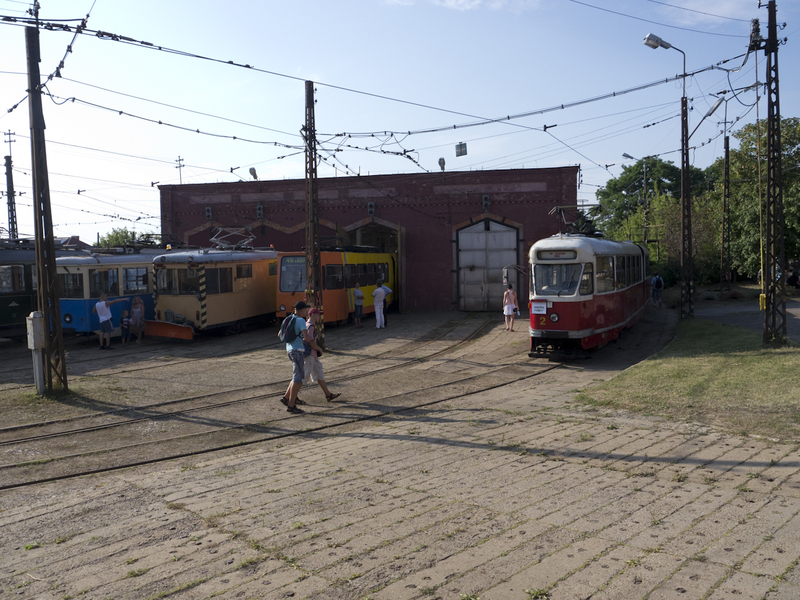 Some of these were previously stored at the now closed Helenowek tram depot which serviced the Międzygminna Komunikacja Tramwajowa trams serving Zgierz and Ozorkow. Tramway freight vehicles! Photo BTWT. Goods vans dating back to the days when the Łódzkie Wąskotorowe Elektryczne Koleje Dojazdowe (Lodz Electric Narrow Gauge District Railways) carried freight as well as passengers. The vans were the subject of our last competition. Congratulations once again to Eric Binamé for getting the answer absolutely correct. John Schøler Nielsen was also a close runner up – he had identified the wagons correctly, but had not realised that they had been moved from the Helenowek depot since he had last seen and photographed them. The bogie flat wagon in the foreground has a colourful past. Built by the Gregg Company Ltd in Belgium for export to a sugar cane railway. It was seized by the Germans together with the factory in which it had been built during WWI and sent to Poland. Jeff Livingston – The Gregg Company Ltd. The 270 km/h run on 17.11.2013. Video by ralfovski. On 16 November 2013, high-speed testing of Poland’s ETR 610 Pendolino trains began on the CMK trunk rail line. Test runs are being carried out on the weekends of: 16-17 November, 23-24, November 30 Nov – 1 Dec, and 7-8 December. During the course of the tests, which take place approximately between 10:00 and 15:00hrs, normal train services are suspended over the CMK, and the trains that were due to run are either cancelled or re-routed through Chestochowa. The speed and breaking trials are part of the certification tests for the Alstom-built Pendolino trains being delivered to Poland. Twenty 7-unit ETR 610 sets, together with a new depot and a 17-year maintenance contract were ordered by PKP IC for 2,640 million PLN (65 million euro). The trains are being certified for up to 250 km/h (155 mph) running. With a requirement for a 10% safety margin the objective has been to work up to a speed of 275 km/h (171 mph). On the first day of the trials on 16 November 2013, the test train reached 242 km/h. On 17 November, it reached a speed of 270 km/h, breaking a little publicised record of 250.1 km/h set by an earlier generation Pendolino test train some 19 years earlier. Today, the test train, with Rail Minister Andrzej Massel and other rail VIPs on board, achieved its objective and exceeded the 275 km/h target reaching a top speed of 291 km/h (181 mph). To enable the high speed tests to take place, the section of CMK track used for the tests (between Gorą Wlodowska and Psary) had to be re-fettled with new ballast, and its overhead catenary replaced. For today’s record-breaking run the 3k DC voltage supply was tweaked by PKP’s electricity distribution company, PKP Energetyka. Sadly, there is nowhere on Poland’s railway network actually certified for 250 km/h (155.3 mph) running, although a number of sections of line, including a short section of the CMK trunk line, are certified for 160 km/h (100 mph) running. PKP has plans to upgrade the CMK for 200 km/h (124 mph) running, and then in stages up to 220 km/h (137 mph), and eventually to 230 km/h (143 mph). Rynek Kolejowy – 291 km/h. Nowy rekord Pendolino! Dziennik Polski – Po co nam Pendolino? 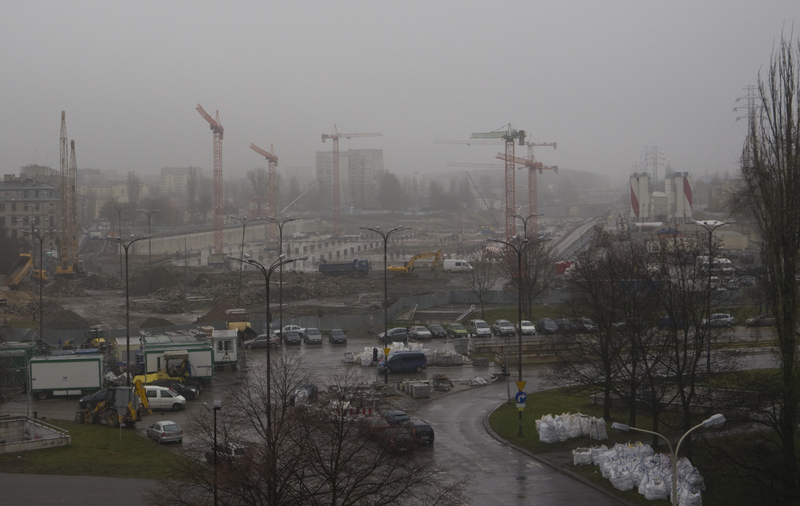 Lodz Fabryczna construction site, 22 November 2013. Photo by BTWT. Elzbieta Bienkowska. Photo Adam Nurkiewicz, Senat Rzespospolitej Polskiej, via Wikipedia. Slawomir Nowak, the Minister of Transport, Construction and Maritime Affairs has resigned. Responsibility for running the transport ministry will pass to Elzbieta Bienkowska, currently head of the Ministry of Regional Development. Bienkowska will have the title of ‘deputy prime minister’ and head a new combined ministry of Infrastructure and Development, becoming the most important Polish politician after Poland’s Prime Minister, Donald Tusk. The changes are part of a cabinet shake up announced by Tusk at a time when opinion polls shows public support waning for the ruling party, Platforma Obywatelska. Nowak’s fate was sealed when Warsaw prosecutors investigating the afera zegarkowa (the retiring Minister had a penchant for very expensive watches) made a formal request for Nowak’s parliamentary immunity to be revoked. Other changes announced by the Prime Minister included the replacement of Jacek Rostowski as Finance Minister by Mateusz Szczurek. Mateusz Szczurek is regarded by people close to the Ministry of Finance as a relatively inexperienced, but safe, place-holder until the next parliamentary elections; not so Bienkowska who is thought to be the most competent minister in Tusk’s government. Elzbieta Bienkowska was born on 4 February 1964 in Katowice. She obtained an MA degree in Oriental Studies at the Jagiellonian University in Cracow. She also studied at the National School of Public Administration and was awarded an MBA by the Warsaw School of Economics. Throughout her career she was involved in the implementation of EU-funded projects. In 1999-2007, she was director of the Department of Regional Development in the Office of the Chief Executive of the Province of Silesia. Earlier she had worked on regional development strategy in the office of the Governor of Silesia in Katowice. With the administration of EU-funded projects seen as a major weakness in the current arrangements for the renovation of Poland’s railways, it is hoped that Bienkowska will ensure that the necessary reforms are implemented at the appropriate levels in her new ministry and PKP. Łódź Fabryczna – white elephant? Lodz Fabryczna construction site, summer 2013. Photo by Zorro2212. Behind The Water Tower has been ‘down’ for much longer than usual. I have not been well – nothing terribly alarming, rather a combination of ‘wear and tear’ and an old back problem has taken its toll, and much of my ‘get up and go’ seems to have got up and gone. I have decided on a few simple steps which should at least improve the frequency of postings, if not their quality. BTWT readers may remember my dislike of the new Lodz Fabryczna project. Currently, the centre of Lodz is cut off for visitors by train and there is no firm date in sight for when the rail link will be restored. Lodzians commuting to Warsaw or further afield are better off – they simply park at one of the many stations on Lodz’s periphery: Zabienec, Kaliska, Chojny or Widzew and enjoy reasonably comfortable(1) – if not very fast train journeys. There is currently no money nor end date for the completion of the 2,000 million PLN project, 1,500 million of which is being put up by PKP and 500 million by the City of Lodz. The project will not add a single new train path between Lodz and Warsaw. Just think what 2,000 million PLN could have done in removing speed restriction and bottlenecks in key places around the Polish railway network. For those readers admiring the progress on the new station in the photo above, perhaps I should explain that the concrete deck in the picture is not intended to be the track bed level of the new station, merely its ceiling. The actual station level remains to be excavated, under the newly cast concrete deck in the picture. (1) Apart from certain Lodz-Krakow services worked by the PESA ED74 EMUs with their back-breaking seats.